Court Says Some Morning-After Pills Must Be Available OTC Now : Shots - Health News In a surprise move, a federal appeals court ruled that some "morning after" contraceptives must be made available without prescriptions now, even though the federal government is in the midst of appealing a lower court ruling that would make the pills widely available. 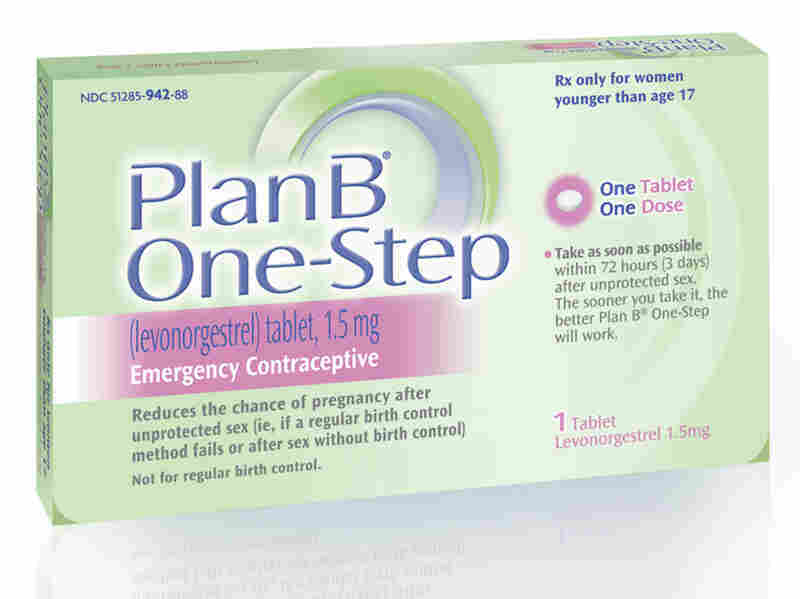 The New York appeals court ruling could make cheaper generic "morning after" pills available and delay sales of Plan B One-Step, made by Teva Women's Health. A federal appeals court has dealt the Obama administration yet another blow in its quest to keep at least some age restrictions on the sale of emergency contraceptive pills. In a three-paragraph order, a three-judge panel for the United States Court of Appeals for the 2nd Circuit ruled that although the government's appeal of a lower court decision removing all age restrictions on morning-after pills is still pending, at least some medications must be made available over the counter immediately. Specifically, the panel said that while the requirement for one-pill versions of the morning-after pill to be made available without age restrictions can be delayed while the appeal is considered, that is not the case for "two-pill variants," which include generic products Next Choice and other levonorgestral tablets. Ironically, the FDA had sought to produce a compromise by approving in late April an over-the-counter version of Plan B One-Step, a one-pill version that would be available on pharmacy shelves but only to those 15 and over who are able to produce proper identification. But Plan B One-Step costs in the neighborhood of $50, while the generic two-pill formulations cost about $20 to $35. The saga of trying to move emergency contraception from a prescription-only to an over-the-counter product has been ongoing for more than a decade through two successive presidential administrations. U.S. District Court Judge Edward Korman, who has overseen the case since 2005, has made it clear that he thinks the government has dragged its feet to the point of violating the law. But few expected the New York-based appeals court to agree with Korman, even in part, by denying the government's request to stay his April 6 order while the appeal is being heard. The government — via the Departments of Justice and Health and Human Services — had no immediate comment on the ruling. Representatives would say only that they were "reviewing the order" from the appeals court. Those who have been pursuing the case, however, had a bit more to say. "Today's decision from the 2nd Circuit marks an historic day for women's health," said Nancy Northup, president and CEO of the Center for Reproductive Rights, which has represented some of the plaintiffs in the lawsuit. "Finally, after more than a decade of politically motivated delays, women will no longer have to endure intrusive, onerous and medically unnecessary restrictions to get emergency contraception." What happens next remains unclear. Some lawyers say the government might be able to appeal to the full 2nd Circuit. But more likely, if they insist on fighting, government attorneys would have to seek relief from the Supreme Court justice who oversees the 2nd Circuit — Ruth Bader Ginsburg.